Exclusive! Show your landscape some love! 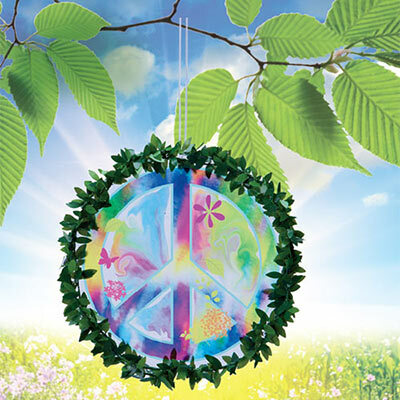 Charming translucent Peace Sign Tree Hanger circle is printed with a watercolor-inspired peace sign and floral motif. Rim features green leafy details. Includes cord for hanging among the trees, from a patio eave or in a sunny window. 7" dia with 14" l hanging cord. Hurry! Quantities are limited!